This inaugural recognition acknowledges those, from shop floor to top floor, who have demonstrated a commitment to the metalforming and fabricating industry and have distinguished themselves through their achievements and daily dedication. 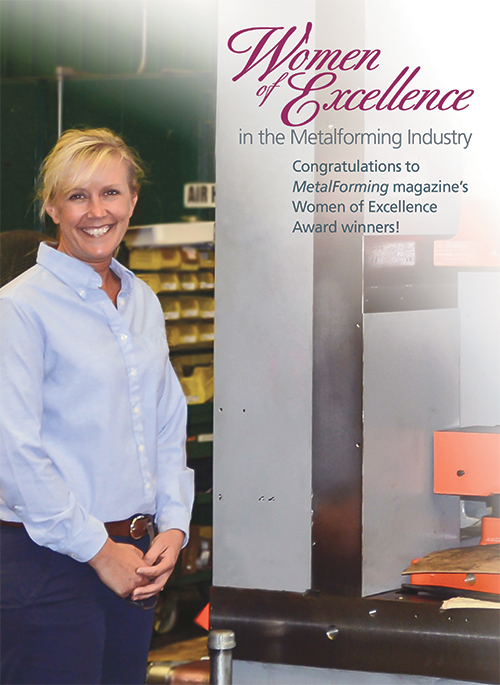 On the following pages, MetalForming profiles all 30 winners, and we also recognize 19 women who have earned honorable mention. Quality control, corporate, operations, setup, production, tooling…name a metalforming task or job classification and it likely is represented on this list. With input from the Precision Metalforming Association and Women in Manufacturing, MetalForming has identified a comprehensive list of deserving candidates that not only show how vital women are to manufacturing success, but serve to inspire the next generation of difference makers. Please join the Precision Metalforming Association, MetalForming magazine and Women in Manufacturing again in recognizing and congratulating these 2016 Women of Excellence Award winners! Women in Manufacturing (WiM) is a national association, with more than 650 members, dedicated to supporting, promoting and inspiring women who have chosen a career in the manufacturing industry. The group encourages the engagement of women who want to share perspectives, gain cutting-edge manufacturing information, improve leadership and communication skills, participate in sponsoring programs, and network with peers. WiM encompasses manufacturers of all types and welcomes women from every job function—from production to the C-suite. Members benefit from exclusive access to regional and national programming, networking opportunities, bimonthly professional-development webinars, a customized employment tool called WiMWorks, online discussion communities, the quarterly IMPACT e-newsletter, and a robust searchable directory. “Definitely out of the ordinary!” That’s how Yvette is described by her nominator, who notes that she is more comfortable on the shop floor than in her office. 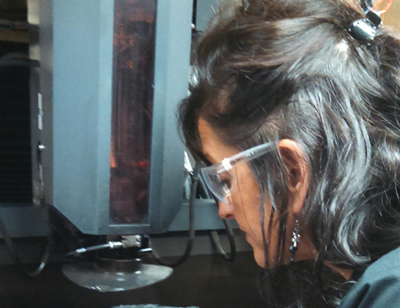 Having worked with metals since her high school days, the 29-yr. industry veteran continues today, operating her own wire-EDM machine while performing metal-product prototyping and reverse-engineering at every opportunity, all the while overseeing the day-to-day operations of Vast Industries. 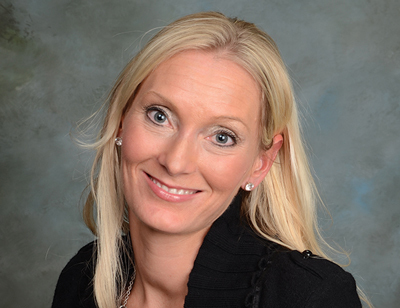 She has designed and developed parts for the motorcycle, oil and gas industry, culinary, and marine industries. With her hot-pink safety glasses, she handles one-ton trucks as well as anyone, and makes sure that parts are not only in tolerance, but look cosmetically correct before leaving the plant. Alycia has grown from a being a direct contributor to a supervisor and leader of her department, using her 19 years of experience and knowledge of each manufacturing operation to improve not only the department she is responsible for, but the departments around her as well. A leader by example, Alycia has been integral in transforming her 90-person department into a clearly structured and organized group in spite of the department’s difficult demands. Through leadership, dedication and advanced planning, she has continued to lead her team through the challenges of day-to-day operations while focused on continuous improvement. 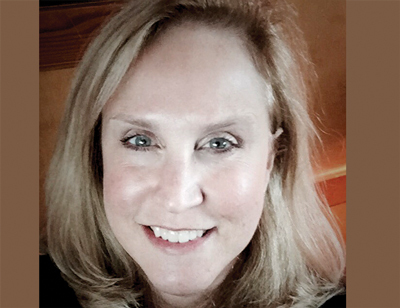 Joining Tedco as human resources manager 18 years ago, Barbara later was promoted to general manager before assuming her current position. 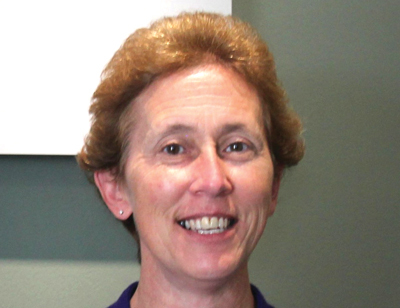 With a key role in the New England District of the Precision Metalforming Association, she is an industry champion, having developed and implemented a scholarship fundraising program for mechanical engineering students. And, her experience and support of best practices in manufacturing has positioned Tedco Inc. as a leader in the precision metalforming industry. 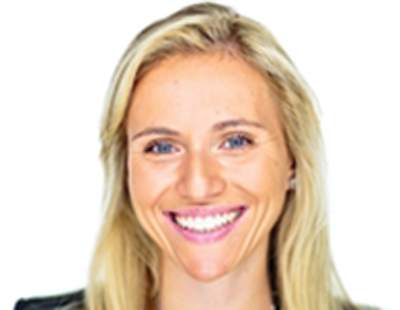 Described as a self-starting leader who strives to empower others to learn and move forward in this ever-changing industry, Barbara is seen as an innovator in everything she does. She believes that it’s important to learn all that she can and to offer assistance and guidance whenever she can. 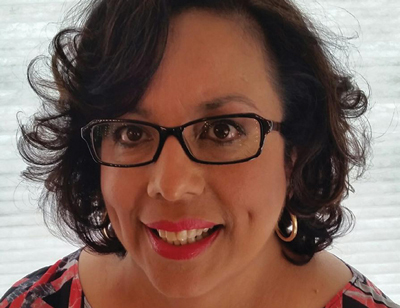 Vivi is a six-time Employee of the Month winner and two-time Overall Star of the Month winner in her 21 years at Leader Tech. Showing incredible talent and skill in coordinating all of the company’s prototyping and tooling work, she’s proven an invaluable asset in helping the company position itself as a quick-turn, high-precision prototyping and manufacturing house for EMI shielding. 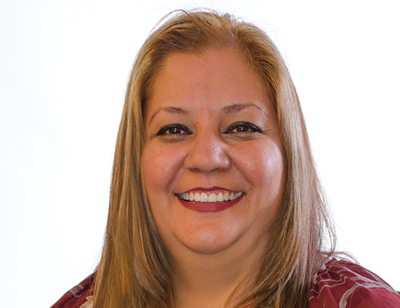 Vivi possesses unique knowledge of sheetmetal forming, springback calculations and heattreat fixturing, along with an overall mechanical skillset that makes her a true leader in the metalforming industry. 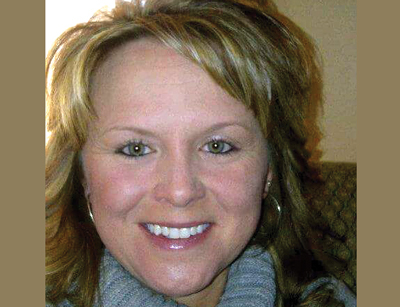 Starting at Racine Metal-Fab (RMF) in 2008 as a production operator, within two years Tammy was viewed as a leader in her department, becoming the go-to person among her peers and even filling in to perform supervisor duties when the position was vacant. A key individual in several technology-related initiatives, Tammy, as part of the company’s paperless-plant effort, trained hourly workforce in the use of technology tools to schedule work and find production-related documents such as part drawings, work instructions and quality documentation. Noted for her positive, can-do attitude and commitment to continuous improvement, Tammy has earned the trust and respect of employees in RMF’s production operation. And, RMF sees her as someone every new employee must meet, including new members of the senior management team. Within a year of Stacey’s 2014 hiring by NASG Indiana, the plant drastically reduced its Internal-PPM and Cost-of-Quality numbers. Since then, under her control, excellent quality numbers have been maintained, including a record-low cost of quality, while the plant continues to grow at a healthy rate. As her nominator states, a quality manager has one of the toughest jobs in a manufacturing setting, having to be able to listen and advise the customer while balancing production requirements in times of need. She has helped convince the NASG Indiana workforce to be open-minded and accept change where possible. Active in a variety of local causes, Bobbie brings her can-do attitude both in and out of the office. And known for her open-door policy when it comes to employee needs, she represents what a self-starting, focused woman can accomplish in a predominately male company and industry, according to another nominator. Brianne has been instrumental in setting up academic initiatives to connect industry with universities and colleges so that students have access to premium CAD/CAM/CAE software. Her efforts have secured the nomination of consulting firm Longterm Technology Services for Techcellence Awards in the Community Engagement category. As a former college professor, Brianne burst on to the scene, bringing her expertise to the industry to help fill the skills gap. Brianne organizes training and conducts guest lectures, webinars and seminars. She arranges student tours of shop floors, and organizes company visits to classrooms to demonstrate current industry projects and expose students to career paths and the latest technology. She attends Technology Days and her passion helps promote MFG Day to encourage the public, governments, guidance counsellors, students and parents to reframe perceptions on manufacturing. 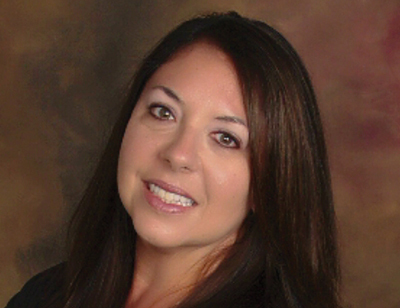 A driver of continuous improvement and customer satisfaction at Principal Manufacturing Corp., Sharona has been a strong voice for its customers. She has reconfigured the company’s customer-service department to be 100-percent customer-focused and has instilled a whatever-it-takes attitude throughout Principal. Sharona also was a key player in implementing the company’s Plex ERP systems and continues to implement new modules such as project management and tooling maintenance. Involved in Women in Manufacturing and other industry organizations, Sharona also is set to earn a bachelor's degree in Operations Management by year’s end. She has pursued her degree at night and on weekends while working close to 50 hr./week. Sharona pushes her organization to improve every day, serving as a champion for customers while simultaneously working to improve the company’s systems. With a diploma in fashion merchandising, Penny was offered a job in steel sales at age 23. She succeeded, and in 1998 started her own business, Pen Steel, to provide steel components and materials to the steel industry. Fresh out of school she heard that she wouldn’t make it, and heard the same at the inception of her business. Neither time did she quit. She’s since expanded the company and brought in new equipment and capabilities. Both farmers, her father and grandfather taught her the skills she continues to put to use today. Both have passed, but they’d be proud of the path that Penny has traveled. 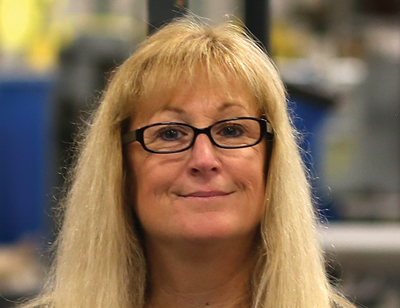 With McAlpin Industries for more than 28 years, Patti has seen her responsibilities grow to senior manufacturing supervisor, focusing on machining and final assembly. Her plant manager refers to her as “The Ultimate Tool Belt,” citing the fact that Patti is the go-to person for most production-related issues. 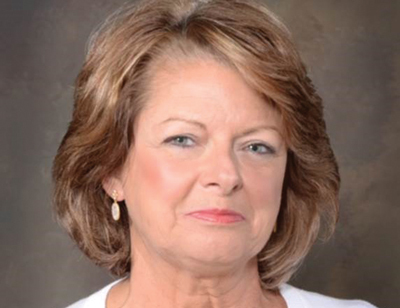 Patti played a key role in the company’s ERP-system implementation and became McAlpin Industries’ operations subject-matter expert, learning the system quickly and taking on the responsibility of training. In addition, she acts as a back-up to the plant manager and health and safety manager, filling in whenever needed. And there’s more, Patti rallies associates for community service projects such as the local Thanksgiving Baskets Appeal, and the company’s Adopt-A-Family holiday project, and charity golf tournament. For 36 years, Nivea has been with OGS technologies and its predecessor, starting fresh out of high school as a bench worker and using her perseverance, and willingness to learn and take on new tasks to advance. In 2007, Nivea earned a promotion to manufacturing supervisor, in addition to her role as manager of the company’s lab and plating operations. Embodying the principles of leadership and mentorship, Moira is the lead engineer for a group of younger manufacturing engineers working in disciplines ranging from fabrication and welding to powder coating and hydraulic-ram manufacturing as well as assembly of final product. On a daily basis she mentors those engineers, helping them to grow and directing their learning opportunities so that they can increase their own skill levels. Moira has been active with the Raymond Corporation’s STEM program, taking one student interested in an engineering career under her wing. That student now is majoring in Manufacturing Engineering and is with the company as a co-op. Moira makes it a point to meet with her customers to develop robust solutions that address their needs, and is not afraid to make decisions and assist others in arriving at their own solutions to challenges. Margaret owns two successful companies, Zero Bullet and Zero Ammunition. For 53 years, she has been producing deep-drawn bullet jackets, and even today, in her 80s, hasn’t slowed down and goes to work every day. Margaret embodies the commitment and dedication that MetalForming has looked for in choosing winners of the Women of Excellence Award. And, she is a prime example of the opportunities available in our industry. 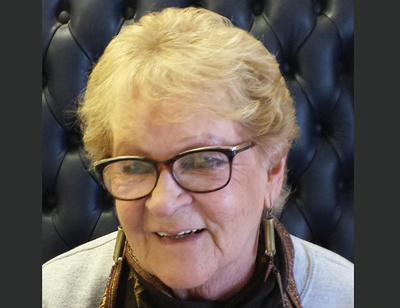 Starting out in the fashion industry, Charlene was offered a job as a clerk typist at Lindquist Steels, which allowed her to work and continue her education in the evenings. Leaving the fashion industry behind, she worked her way through the company, to salesperson, to office manager and ultimately to her current position as vice president. 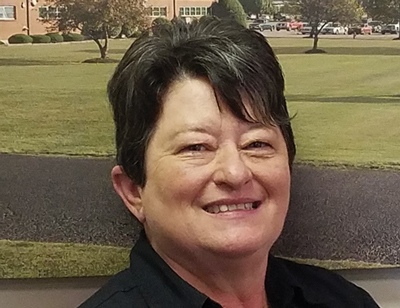 Since day one on the job, Charlene has provided exceptional customer service and regularly assists customers with technical questions regarding the material Lindquist Steels distributes, drawing on her extensive knowledge to help customers match the proper tool steel to their application. And her skills in scheduling ensure that orders are delivered on time. With 38 years in the business, Charlene has been a voice for women in manufacturing, and in the steel industry in particular. Since starting as an executive assistant at Vidir Machine, Chris has never shied away from learning new things. That is a major reason why she has risen to the position of production supervisor. She has utilized all of the skills and knowledge available on her production team and has earned the respect of employees through working to understand the challenges presented by a customizable product line such as that at Vidir. Chris has nurtured an environment of cleanliness and organization in the shop that garners compliments during every tour and customer visit, according to her nominator. A true servant leader, she is not afraid to get her hands dirty in support of those that report to her, and if it needs to get done, she’s never one to say it's not in her job description. For 40 years, Quality Metal Stamping has been providing custom metal stampings and automated assemblies. 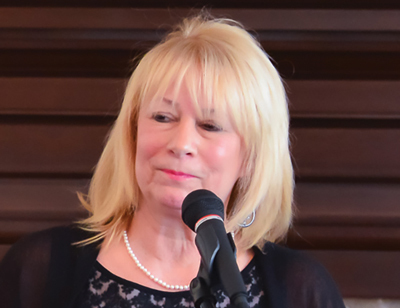 And for 29 of those years Darlene has played a big part in the company’s efforts to create and maintain strong partnerships with its customers. As customer-service and inside-sales manager at the fourth-generation company, she has been essential to its growth, working diligently on customer partnerships while committed to Quality Metal Stamping’s values. Her long-term commitment to the organization and her customer-first mentality are recognized by colleagues and customers alike. “The manufacturing industry is an important sector of the U.S. economy and as leaders we must recruit the brightest minds to remain competitive. After spending 29 years in the metalforming industry at Quality Metal Stamping, manufacturing has provided me with a challenging career path, allowing me to build strong relationships and present new ideas in all facets of our business. I would encourage women of the next generation to be a part of the ever-changing face of manufacturing in this country!" 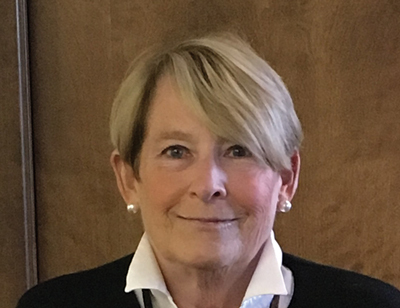 Lynn has succeeded in industry in a time when sales and purchasing was dominated by men, and continues to be a positive role model through her work as an officer and board member of the Association of Women in the Steel Industry. 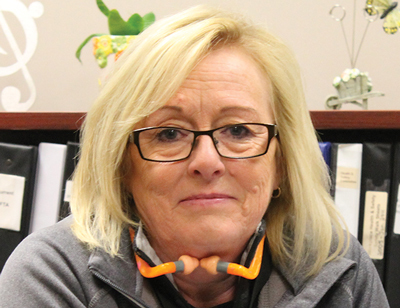 In 37 years at MidWest Materials she has served as administrative assistant and assumed several production positions before becoming involved in purchasing. Typically the first to arrive and last to leave, Lynette handles Superior Die Set’s top-level accounting functions for its three companies, including two plants in Poland. With zero manufacturing knowledge in her first days at the company 34 years ago, Lynette now understands more shop-floor controls and manufacturing techniques than most engineers. With a constant eye on the company’s financial statements, she is able to indicate trends and areas of improvement that are crucial to success, and participates in several local financial groups to keep abreast of constant fluctuations in practices and techniques. A go-to person, ‘can't do it’ is not in Liz’s vocabulary. 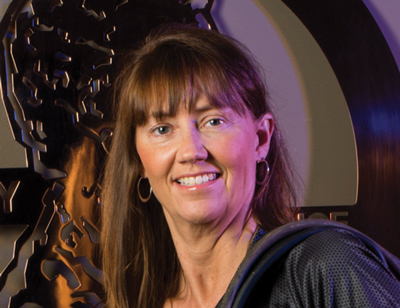 With a challenging position in a high-volume, low-mix metalforming facility, she strives to solve problems and treat all of her colleagues with total respect…and has earned theirs. Starting as document-control clerk, through on-the-job training, outside classroom instruction and her work ethic, Liz rose through the ranks to become a manufacturing engineering assistant, and with her attention to detail, became a full-time manufacturing engineer. And when a quality-engineer position became available, she was immediately recommended for the promotion. She also volunteers to speak with young people, especially young women, encouraging them to consider careers in manufacturing. Liz is actively involved in the company’s Manufacturing Day event, where more than 500 local students, educators and parents are invited to visit and experience first-hand the innovation and exciting challenges that exist on a real-world shop floor. 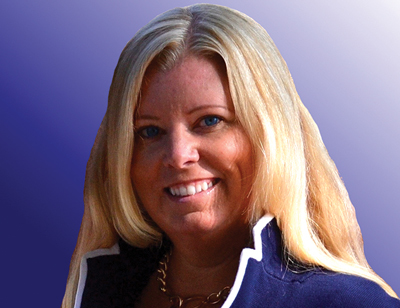 As the executive director and founder of Symbol Training Institute, Diana leads its initiative to combat the skilled-labor shortage by providing hands-on training (including NIMS credentialing) and job placement, and strongly advocates for women's equality in manufacturing by promoting the profession to women and employing several female instructors to assist in her efforts. In addition, Diana sits on U.S. Congresswoman Tammy Duckworth's National Manufacturing Advisory Council and has started Manufacturing Next, a not-for-profit organization designed to help combat the skills and gender gaps in the manufacturing industry. Her tireless efforts have been recognized by colleagues and the community alike—she’s been named to Crain’s Business Chicago “2013 40 Under 40” class and also named to the Daily Herald's “Entrepreneur of the Year” class of 2015, among other honors. Nominated for her dependability, efficiency, attention to detail and willingness to take on difficult projects, Jackie has developed financial controls that successfully scaled as Almetals increased revenue each year, and has provided important input on custom-developed software. All the while, she’s been leading and achieving excellence in the company’s accounting and financial processes. But Jackie's skills do not end with her work. She also projects a warm, cheerful attitude to suppliers and clients, and has resolved conflicts and handle other difficult situations with remarkable patience and admirable tact. In the community, Jackie advocates for special-needs individuals. She is what this award is all about. Jill started at Nidec Minster performing night-shift CAD drafting work while still in high school. Then, in 1995, after receiving a bachelor’s degree in Mechanical Engineering, she was hired full-time as a design engineer. 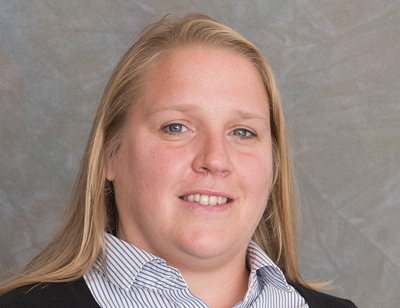 In her current position of advanced engineer, Jill brings extensive knowledge of all the Minster presses utilized by the metal-packaging industry. Her knowledge is evident in the fact that she’s earned a patent for a means to detect the failure of the slide-guiding system on piston-drive presses. Jill has been instrumental in training new engineers and co-ops, imparting her knowledge to better equip the next generation of manufacturing professionals. Another example of her dedication to the industry and her company: She’s recently volunteered for a two-year assignment in Spain with a new division of Nidec Minster. Safe travels and congratulations, Jill! For more than 22 years, Lisa has helped to establish Cole-Tuve as an important North American distributor of metal-fabricating machines. As co-owner, she oversees the company’s 50,000-sq.-ft. office/warehouse and ensures that customers and associates alike are treated fairly and respectfully. 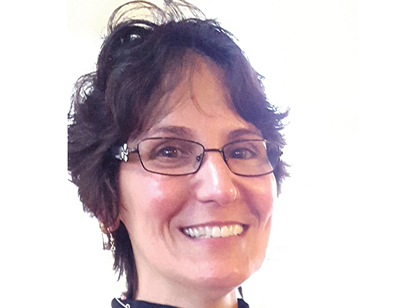 Described as one of the most knowledgeable and respected women in the metal-fabricating industry, “her integrity and commitment to help companies with their metal-fabricating-machine needs are second to none,” explains her nominator. 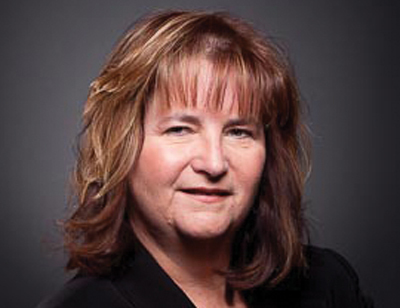 In her 17 years at Walker Corp., Kimberly has helped build and expand the company’s footprint into one of the most respected automotive stampers in the country. 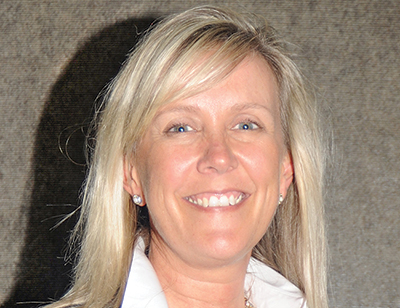 She currently oversees all details of sales and purchasing for Walker Corp. and its base of primarily tier-automotive, consumer-electronics, agriculture and solar-power customers, and details of raw-material sourcing as well. She also has assisted in plant automation and manufacturing initiatives. 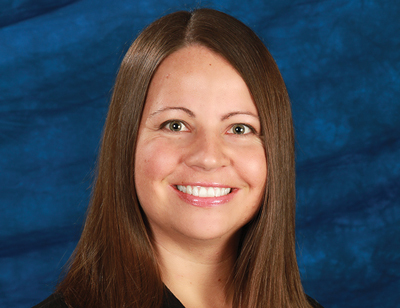 Kimberly has played a big role in helping the company, in a difficult Southern California location where manufacturing is not an abundant industry, grow into new markets with new products and services. In working her way into a top-leadership position, Kimberly has helped drive the company on a global growth path. Having recently earned her MBA following bachelor’s degrees in Computer Science and Business Administration, Kai quickly has risen to team leader in the software-engineering department at Trumpf. She’s a computer scientist with inherent leadership and people skills—a rare combination. 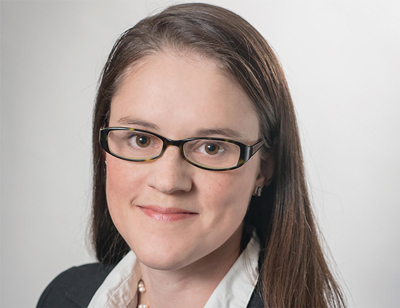 “Kai has and will undoubtedly accomplish even greater things in her career and is a tremendous role model for other young women in the industry and those pursuing engineering degrees,” explains her nominator. In 1993 Tammy started her own company, Blue Chip Manufacturing, producing spare parts for U.S. military trucks, ships, submarines and weapons. 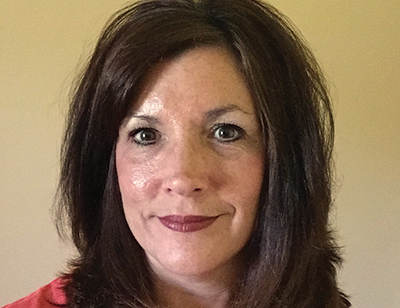 In 2012, Ice industries acquired Blue Chip, and having recognized her vast experience in government safety, regulations and training, she was hired as corporate HR/EHS manager. Since then, Tammy has developed, implemented and succeeded in instilling a culture of safety within the company. She has spent 70 percent of her work time traveling to each location to conduct training and auditing, making sure that the company provides a safe and healthy work environment for its employees. Her efforts are not lost on her colleagues. 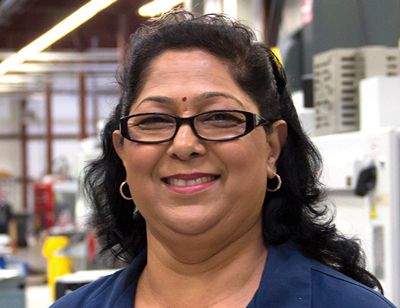 Combining her extensive knowledge and leadership, Sunita is a powerhouse at Bishop-Wisecarver Group and in the metalforming industry. In and of itself, more than 30 years in the industry is an accomplishment, but more than that, she has been able to take what she has learned and skillfully train the next generation of metalformers. Her confidence and encouragement helps new employees feel secure and successful. Organized, proficient and efficient, she effectively manages multiple associates and projects without missing deadlines. As an example of her ability, Sunita standardized the workflow for a major contract that resulted in efficiency gains for the whole department and helped drive large revenues. Joining Clarke Engineering in 1989, Lee has instituted quality and financial procedures to ensure the success of the company in the new millennium, and has overseen the transition from manual gear-cutting operations to CNC equipment to perform such tasks. 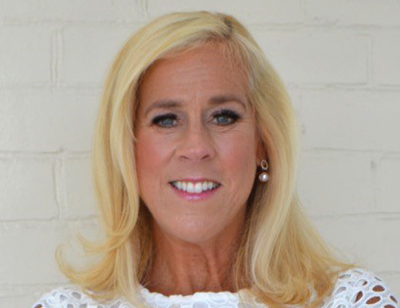 Boasting nursing and other degrees as well as an MBA, Lee used her education and experience to earn a leadership position in the industry, including election to the board of directors of the American Gear Manufacturers Association. She also has led her company to prominence in the industry—Clarke Engineering recently was chosen to be profiled on a reality-television show as a top gear manufacturer. 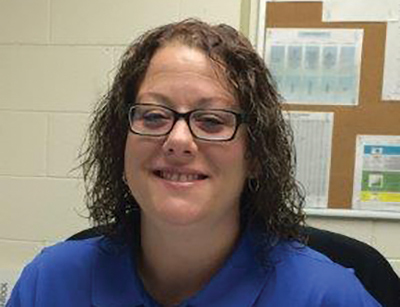 Starting as a parts sorter, Lori worked her way to supervisor, then to purchasing and materials manager, and now assistant general manager at Kecy Metal Technologies. 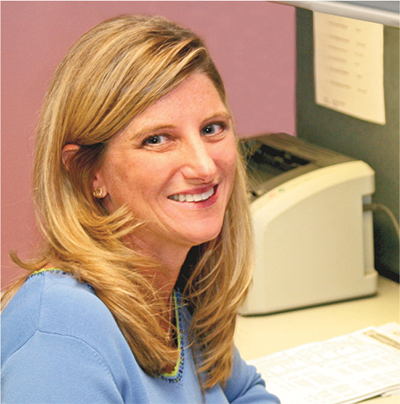 Knowing stampings inside and out, she has become an integral part of the company, managing all of its operations from IT, customer service and sales to shipping. Eva Cirovski, General Manager, RAM Solutions, Inc.
Angela Ren, Project Manager, KBX Engineering, Inc.
Amy Street, Laser Tech Manufacturing Engineer, ATACO Steel Products Corp.
Heather Gross, Project Manager, Pyramid Tubular Technologies, Inc.
Darlene Logan, Quality Facilitator, Pentaflex, Inc.
Cindy Weglarz, Production Supervisor, Laystrom Manufacturing Co.
Maria Rivas, Human Resources Manager, Termax Corp.
Joey Johnson, Assembly Level 3, Pentaflex, Inc.
Kathy Curley, Materials Manager, A. J. Rose Manufacturing Co.
Joan Williams, Administrative Manager, Matenaer Corp.
Tammy McCoy, Toolmaker A, New Standard Corp.
Cheryll Reiter, Production Manager, Thermal Spray Technologies Inc.
See also: Feintool US Operations, Inc., Leader Tech Inc., Die Cad Group, Inc., MidWest Materials Inc., Superior Die Set Corp., Almetals, Inc., Nidec Minster Corporation, Cole-Tuve, Inc., TRUMPF Inc.
We truly could not do what we do without Sunita Nand at Bishop-Wisecarver. Her years of knowledge and skill shared daily with her co-workers is a such a value to this company. I am proud to have Eva mentioned in this article that helps to reinforce the positive impact many women have in our industry. CONGRATULATIONS TO ALL OF THE WOMEN IN MANUFACTURING. THEIR STORIES ARE INSPIRING TO OTHER WOMEN LOOKING FOR EXCITING AND DIVERSIFIED CHALLENGES IN AMERICAN MANUFACTURING.